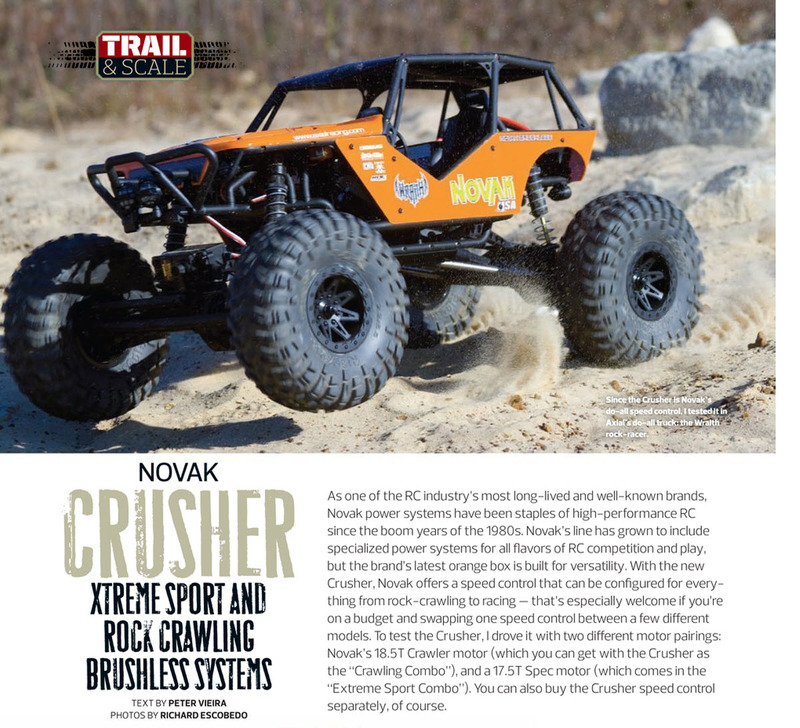 Novak is a company that for years has been well known for producing some of the most advanced speed controls. In fact Novak was one of the first companies to actually produce an electronic speed control so they know what they are doing. With advances in technology Novak has found ways to pack speed controls full of various options that allow the user to fine tune it to their liking. 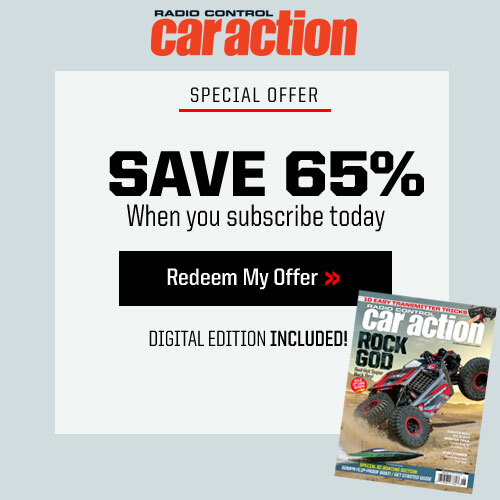 The Crusher speed control is one of the latest in the company’s lineup and this one is not only packed full of those great tuning features but it’s also designed for use in different types of vehicles. 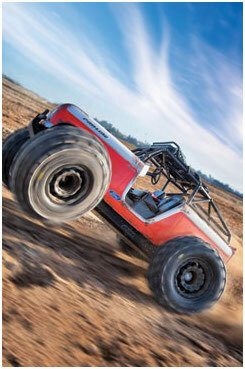 It has three different profiles for you to choose from and they include bashing, racing and rock crawling. 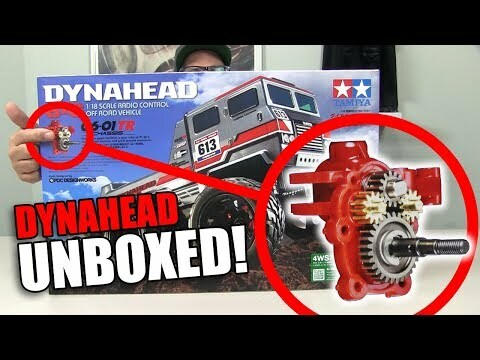 Let’s get this system installed in my Axial Yeti and see what it can do. 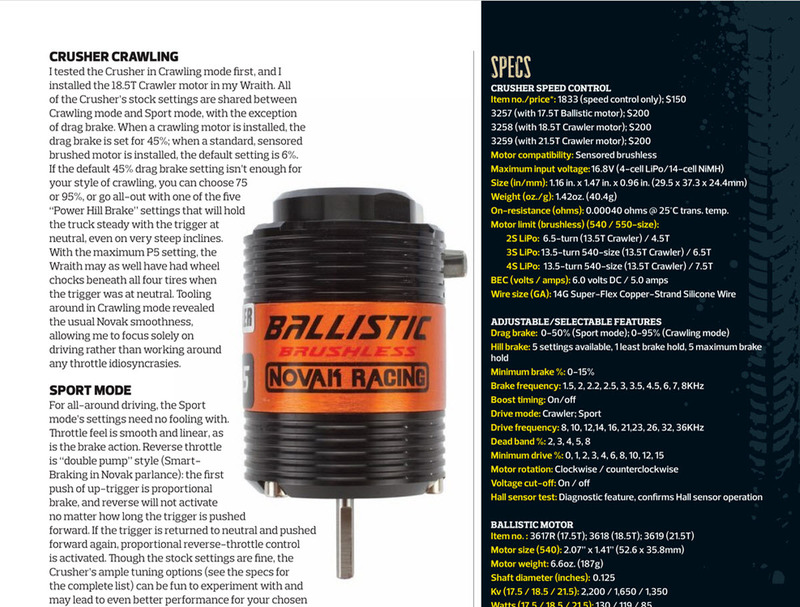 Like I mentioned I am testing the Crusher speed control with 4PDH motor but you can also pick it up with a Ballistic 550 motor or a 17.5 540size motor. 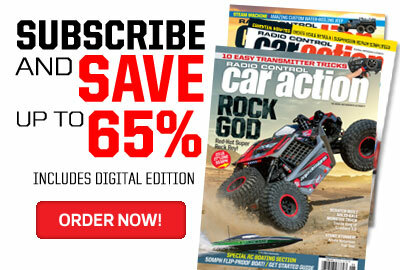 Of course the speed control and motors are also sold separately if you choose to buy one or the other. 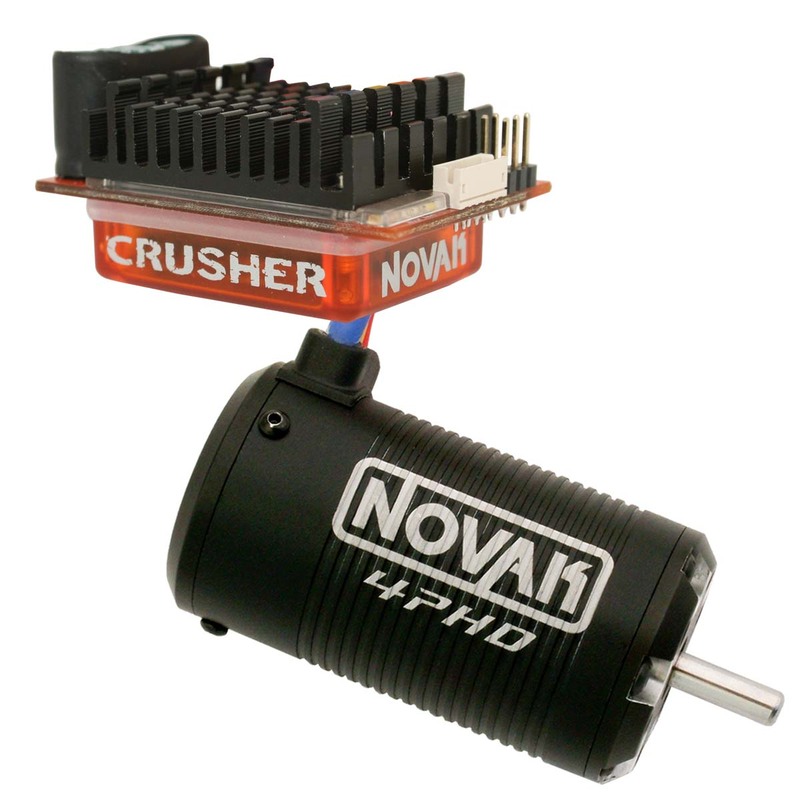 The Crusher is a sensor based speed control that is designed to give the motor good torque and great low-end drivability. Operating temperature is kept to a minimum thanks to its large multi fin heat sink and included cooling fan. Novak has a 5amp BEC built in to the speed control to help handle the loads of today’s powerful servos but if you plan on running a 3S battery it’s suggested that you pick up an external BEC. The motor and battery wires are soldered directly to the circuit board so if you decide that you want to replace them or swap them out all you need to do is heat the wire from underneath with a soldering iron and its out; installing wire is just as easy. 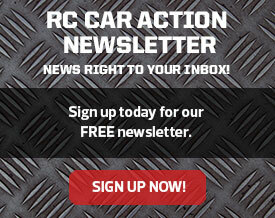 All programming of the speed control is done through an easy to access button on the top of the speed control. 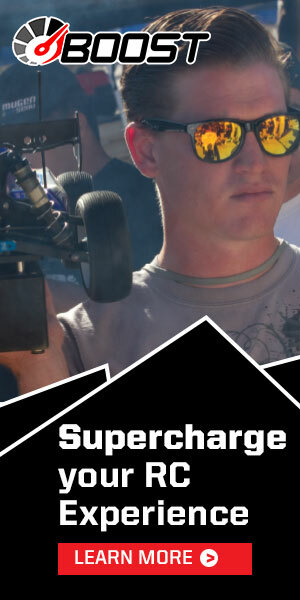 The Crusher has a small footprint so it should easily fit into just about any RC vehicle. The 4600kv 4-pole 4PHD motor’s internal components are protected by a large metal housing that has multiple ribs machined into it to increase its surface area and aid in cooling. 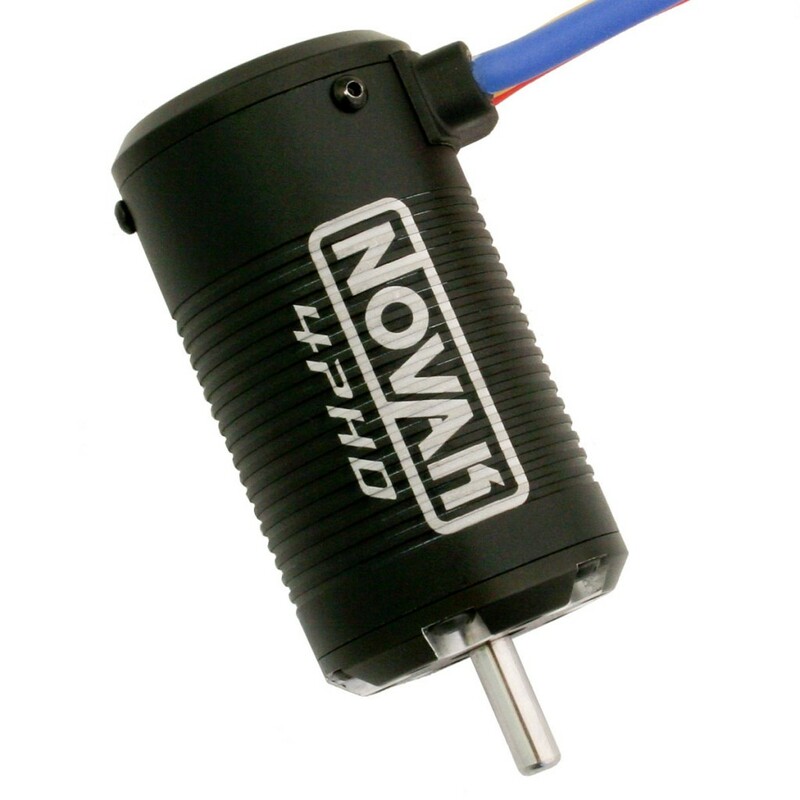 The large 5mm motor shaft is supported by oversized bearings and unlike other Novak motors this one comes with wires already soldered to it. 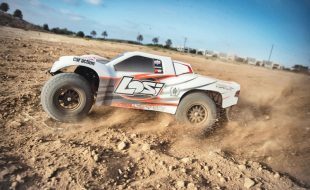 This motor is designed for vehicles such as 4×4 short course trucks and of course the Yeti rock racer that I am testing it in because of their size and weight. Unlike most Novak motors the 4PHD doesn’t come with solder tabs. Instead, Novak provides it with wires already installed. When you open the Crusher box you will be happy to see that Novak helps you with the installation process by including heat shrink, wire ties and double sided tape. I cleaned the bottom of the Crusher and applied the included double sided tape and used it to mount it on the ESC plate in my Yeti chassis. The switch has a large foot print which allows you to use a good size piece of double sided tape to attach it to the location of your choice. Since my truck is going to be bouncing around more than your average truck I decided to hard mount it using one of the screws that secure the mounting plate to the chassis. The hole in the switch is a little too small for the 3mm screw that I was using so I solved that problem by opening it up a bit with a body ream. I installed the 4PHD motor and found that the end of the motor is just about touching the battery tray which means that I had to cut a little to make room for the sensor wire. After talking to one of Novak’s tech guys I found that I could have simply removed the front end cap and rotated the motor and used one of other multiple mounting holes in the end cap to get the sensor wire output on the bottom which would have cleared the battery tray. One thing that I have gotten used to when installing a Novak system is cutting the speed control wires to the correct length and soldering them directly to the motor for the cleanest install with the least resistance but that isn’t easily done with the 4PHD motor. Since wires are already installed on the motor I decided to figure out length needed for the wires on the motor and speed control and I cut them down before installing bullet connectors to connect the two. 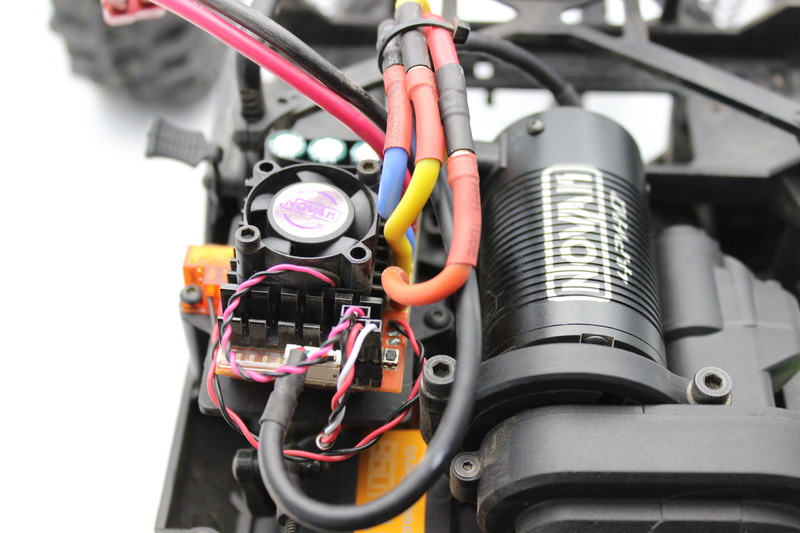 You can remove the wires from the speed control and solder the motor wires directly to it if you are looking for that factory look and less resistance. 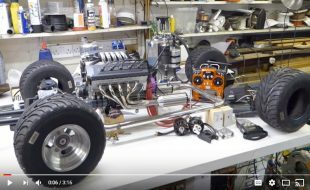 The good news is that there is plenty of wire already installed onto the motor and speed control so you will have no problem getting the wires to reach each other no matter how far apart they are in your vehicle. The system also comes with a very long sensor wire but I wish Novak would also include a shorter one for close speed control to motor installs. Installing the Novak Crusher speed control into my Yeti was a simple process thanks to Novak and the double sided tape, heat shrink and wire ties that are provided. The 4PHD motor was a tight fit but it’s in there and looks right at home. 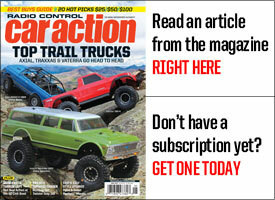 Getting the speed control setup to work properly with the radio couldn’t be any easier. You simply push and hold the easy to get to button on top of the ESC while turning it on and do what the LEDs on the speed control tell you to do. It lights up red and you let go of the setup button and pull the trigger, then it changes to green and you push on the brake and your speed control is set. Basher mode is the default for the Crusher so that’s what I used for my first time out. The speed control felt very smooth while playing around the yard and reverse came in handy a few times. Changing modes was very easy to do; I simply pushed and held down the button until the blue, red and white LEDS were blinking and tapped the button to get it to the next mode. In Racer mode the feel was the same but reverse was now inactive. 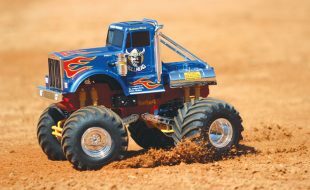 I wanted to get the speed control into crawler mode and if you aren’t running a crawler motor the speed controls senses this and won’t allow you to choose it. With the stock motor in place and a 2S battery in my Yeti I was able to get it up to 16MPH but with the Novak system installed with a 2S battery its top speed jumped to 23MPH. That’s a pretty good jump but keep in mind that your results will vary due battery type, tires and so on. I wanted to check the temp sensor so I drove the truck around for a little while and hit the button and the Blue LED was blinking to show me that the temp was in the 136-147 deg area. With the speed control shut off for a while I plugged in the battery and hit the button to see that the White LED was blinking to let me know that the temp was under 135 deg. I went into some of the different modes available and made adjustments through my testing day and found that not only were the settings easy to get to and change but they also made a noticeable difference in the feel of the speed control. 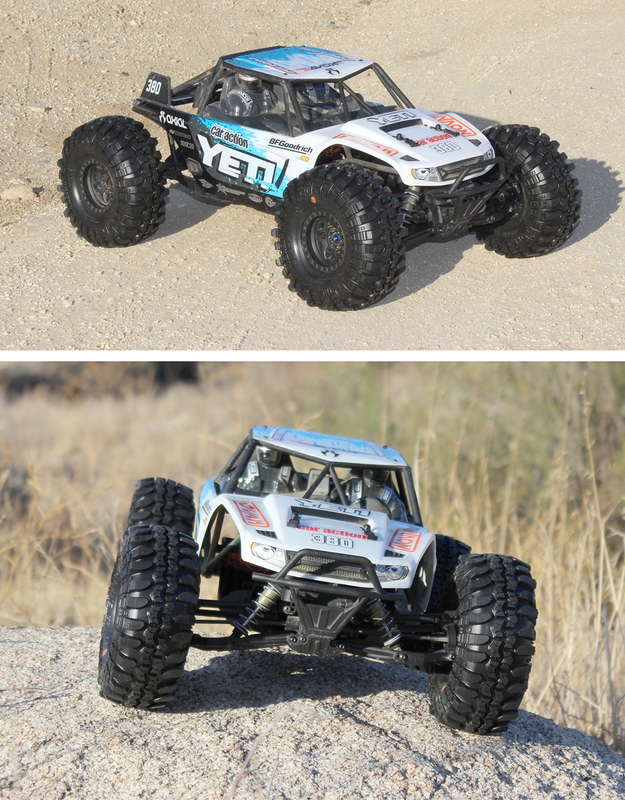 I had fun testing the Novak Crusher and 4PHD motor in my Axial Yeti. The speed control is super smooth and the motor had plenty of torque to move that big truck around. 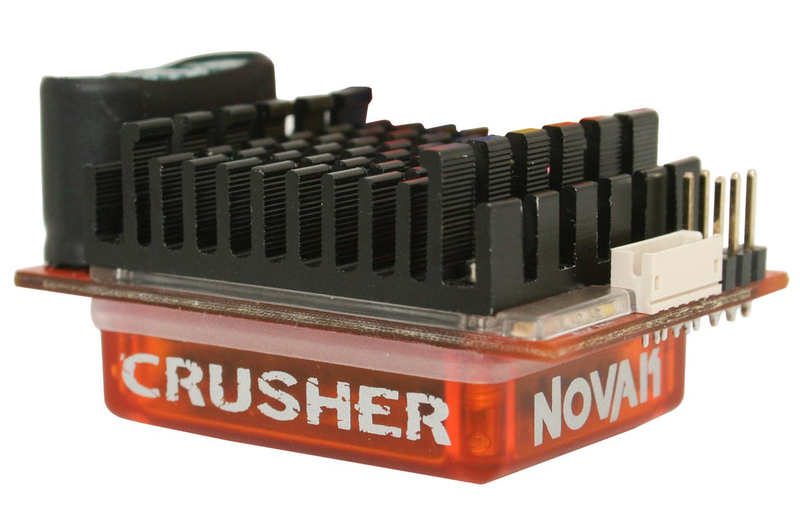 I’m a fan of the Novak Crusher. The modes available are great to have and I really like how easy the speed control is to tune. I used the field guide at first to help me know where my settings were but after you use it and make adjustments a few times you’ll know what you are looking for. The motor was right at home in my Yeti but I wish it has solder tabs instead of coming out of the box wired. There’s nothing wrong with how it comes; I guess that’s just the old school RC guy in me. This isn’t going to be the first vehicle of mine to see a Crusher; I have a drag truck waiting for it and a scaler too. On-resistance (ohms): 0.00040 ohms @ 25°C trans. temp. 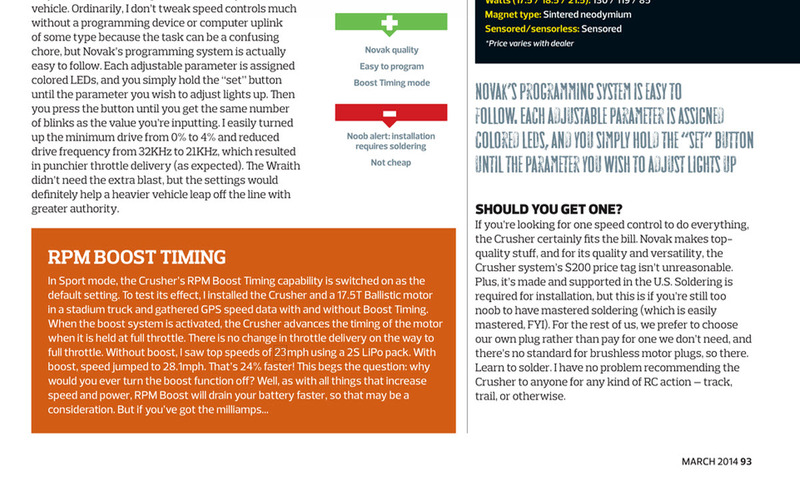 The Crusher was also tested back in our March issue with Crawler and Ballistic motors; click the images to enlarge.